Welcome to the thirty-second episode of A Scene In Retrospect! I hope you’re ready to take in a lot of information today, because we assembled a crew of seven team members (PR/social media managers Inter and Valentin, writer/editor David, staff writers Rodney, Andrew, and John, as well as yours truly) to discuss one of, if not the most important release of the djent movement: Altered State by TesseracT. Please enjoy! I stated elsewhere the importance TesseracT has for me. I had huge expectations for Altered State when it came out. I’ve had mixed feelings about it ever since. Upon my first listen, I noticed Altered State was not a djent album. One had the more rhythmic, percussive quality to it and far less ambiance, while Altered State dialed up the ambiance full-throttle (though not nearly as far as they did on Polaris). It took me almost a year of repeated listening to appreciate this album as a unique artistic expression and not a continuation from One. I had two other issues. First, the singing. The loss of growled vocals did not bother me in the slightest, but Ashe O’Hara’s anemic, emotionless delivery did. He is not a bad singer. He might even be a better vocalist than Dan Tompkins, but such questions are matters of taste. However, he has the perfect voice for singing songs about lost loves with an acoustic guitar accompaniment in a coffee shop, but not a metal voice. Tompkins’s live delivery of Altered State’s songs provides proof: he nails them, and gives new life to this material. The second issue I had was with Altered State’s pacing. These songs all have similar tempos, similar tones, and similar levels of heaviness. The album is too heavy to chill out to, but not heavy enough for just blasting. All the songs are individually brilliant. They are best noticed when shuffled with other artists’ works but when listened to from end-to-end, the songs’ individual qualities get lost in a sea of ambient fluff and weak singing. TesseracT did a very important thing with this album, however. They stepped away from djent, became actually progressive, and raised the bar for everyone. Altered State is important not in spite of its imperfections, but because of them. Tesseract‘s second album Altered State is technically only four songs: “Of Matter”, “Of Mind”, “Of Reality”, and “Of Energy”. Those four songs have two to three songs within them, to make it a ten-song, 51 minute album. What first stands out is how beautiful and powerful singer Ashe O’Hara’s voice is. Altered State is the only album that O’Hara was featured on; Daniel Tompkins has been on almost all of the other TesseracT releases. The astonishing thing with this record is that TesseracT gets extremely heavy musically, and yet O’Hara never does harsh vocals. It doesn’t take away from how mighty and energetic Altered State is. O’Hara instead belts out angelic vocals over pulverizing guitars and drums. “Of Matter – Nocturne” was the first single released for Altered State. To me, it is the standout song on the album, if not their whole catalog. One main staple for TesseracT is Amos Williams’ incredible bass tone. There is a section in “Of Reality – Eclipse” where the bass stands out to give a taste of the signature TesseracT sound. While all the musicians are monsters in their own right, the unsung hero on Altered States has to be Chris Barretto, who plays saxophone on two tracks. His first feature is on the two-minute instrumental track “Of Reality – Calabi-Yau”. Later Barretto resurfaces with a superb sax solo at the end of “Of Energy – Embers” to close the album out with a serene sensation of sound. What TesseracT do really well is their artistry with heavy rhythms and polyrhythms without the use of guitar solos, still keeping the listener captivated. Every note is played with pristine precision. The production is crystal clear, the music is brutal and beautiful at the same time. I consider Altered State to be a perfect album, and believe it will be considered one of djent’s greatest albums. Whatever djent’s version of ‘five mics’ is, Altered State deserves it. With TesseracT changing vocalists often throughout their career, it’s no surprise that Ashe O’Hara found himself in the front of the mic for Altered State. What was perhaps a surprise is how much of an undeniable hit his work for this album would prove to be, going so far as to shape much of what modern progressive metal would – and has – become since. Not to take anything away from other, more principle members of the band, or regular vocalist Dan Tompkins who I also respect, but Altered State is unequivocally O’Hara’s show. The emotion he commands with his voice is nearly unmatched by anyone else in the heavy music world. Capable of ethereal crooning, manifesting a storm of energy and life with high notes, and everything in between, he’s got range. The instrumentation is similarly weighted, albeit not in a way that’s traditional for metal or heavy music in general. You get absolutely stellar djenty guitar chugs, but they bend and pause to give the music intricacies that other bands in the genre would kill for. The lighter tones used throughout lend themselves well to the ambience on display here as well as the heavier moments. The intro to “Of Mind – Nocturne” is outrageously catchy and fierce. This all culminates in an album that’s as much of an experience as it is a collection of near-perfect music. It feels like wading in a pool of healing light; otherworldly, comforting, and reflective, but capable of tossing you about with a beautiful intensity. It’s just so. Damn. Good. Altered State was a life-changing album for me and showed what great contemporary prog metal could be. Nothing has come close to it yet, and I anticipate nothing ever will in quite the same way. This album is an artistic touchstone, one that deserves every ounce of praise it gets, and more. It’s already some years since I got in touch with TesseracT, probably around the time when the video for “Nascent“ was released. To be honest: TesseracT always amazed me with their ambiance and rhythms, but up to the point when I first heard Altered State,I wouldn’t have considered myself a fan. Altered State really was a mindchanger. My first listen of “Of Mind – Nocturne“ was an intense one: I remember digging the ‘fatness’ of the sound, as well as the overall groove and polyrhythms on it. Since then, “Nocturne” has become my number one reference track for showing people what could be considered ‘djent’. Beginning with “Of Matter – Proxy“, the record flows so smoothly, while constantly delivering solid grooves. Said flow exists throughout all ten songs, and combines the four parts into something big. Special details like the saxophone on “Of Reality – Calabi-Yau” and “Of Energy – Embers“ still totally amazed with their musical approach, while TesseracT clearly show that their music is not only about djenty tones. What really stands out on this records are the vocals. Talking about Ashe O’Hara as a vocalist, we already got the selling point of this record. As much as I like Dan Tompkins’ voice on the old and newer releases, Ashe is completely mesmerizing with his soft, fragile, and heartful voice. It also makes me wonder how the new records would sound with him on vocals, but we’ll probably never know! To be honest, it’s not that I don’t enjoy their releases beside, but Ashe totally sold this record for me. 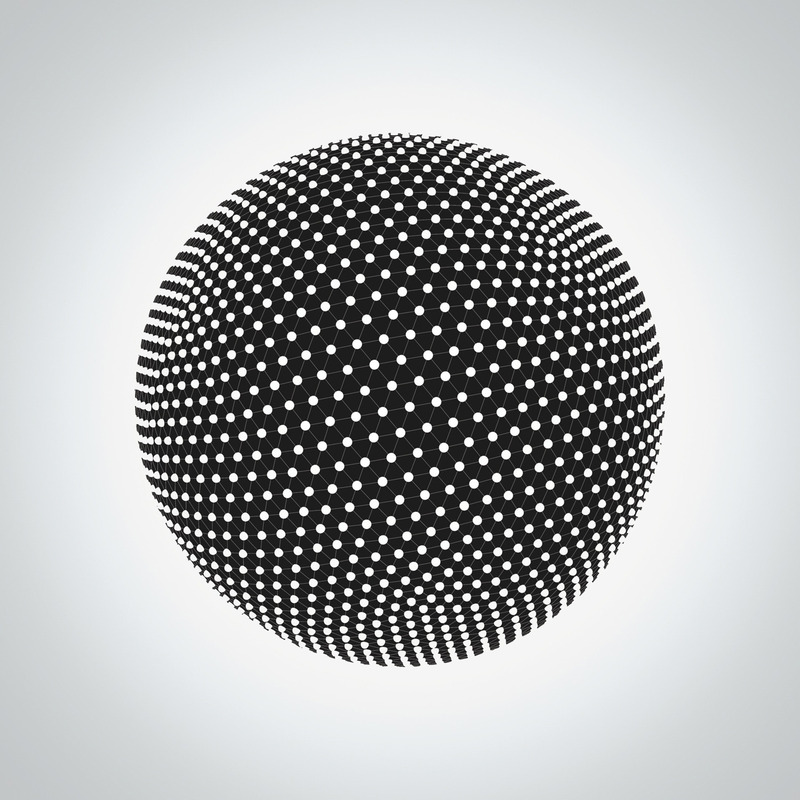 The overall concept of Altered State is what shines most in addition to the music, and really makes this record the best one TesseracT ever did, at least in my point of view. When TesseracT announced a follow-up to their ground-breaking debut full-length One back in the day in 2013, I was pretty sceptical (still pretty damn stoked but also sceptical) because Dan had left the band and word got through that Ashe O’Hara, the new vocalist, would not scream on Altered State. I really loved the raw, energetic screams on One, so I was kinda afraid that the band would change too drastically (because everyone knows that change is the worst thing to ever happen to music, right?!). Long story short, I checked out Altered State with mixed feelings and instantly regretted doubting the band. Ashe’s vocals were absolutely stunning, probably some of the best in the whole genre, and the instrumentation even improved compared to One. The overall atmosphere, the fat grooves accompanied by the delicate, incredibly complex drumming or the super coherent songwriting – Altered State is what ‘djent’ should sound like. It’s one of the very few albums that I have to listen to in its entirety because I can’t justify just listening to one track. The album also features one of my favourite musical moments of all time: the sax solo halfway through “Of Reality – Calabi-Yau” gives me goosebumps every single time I listen to it. Altered State definitely is TesseracT’s magnum opus and unfortunately, I doubt that they will ever top it if Ashe is not taking care of the vocal duties. I remember going to a Periphery gig in Bochum back in 2013. They were supported by two local acts and – surprise surprise – Tesseract, who had recently enlisted Ashe O’Hara as their new vocalist after the departure of Dan Tompkins. Rumor had it that he wouldn’t do screams on upcoming material, which was all but confirmed in their live show as well, seeing that Amos Williams was handling the unclean vocals for older songs. Like most of us, I got into TesseracT through One, so I was wary of this change in direction. Then O’Hara began singing, and all doubts have been cast out the proverbial window (proverbial because there was no window in the venue). After the show was over, I went to check out the first single the band released off Altered State, “Nocturne”, in its studio version, and was blown off my feet anew. Not only did O’Hara perfectly translate the song to the live setting, but the amazing grooves and enticing ambiance of it enthralled me as well. From there, I was stoked for the album, and I was not to be let down. Every song contains at least one vocal hook with enormous staying power, my favorite being the end of “Of Matter – Resist” – one-way ticket to goosebump city, please! In my opinion, Ashe O’Hara is the singer Dan Tompkins envisions himself to be in his dreams. His melodies and harmonies are utter perfection, and set against the at times heavy, at times dreamy instrumentals, they flourish into a sonic revelation. The instrumentalists definitely left their mark on the record as well (see the beginning groove of “Of Mind – Exile” or the excellent saxophone parts, for example), but O’Hara is its main draw and his voice its most defining aspect. Never will this band be able to top this masterpiece, not without him. Phew, what a mouthful, eh? Hopefully you got an idea of the nostalgia that permeated our discussions about this album even before we all penned our parts – this was one of the most special episodes of A Scene In Retrospect for us, and maybe for you as well! Anyway, what are your thoughts on this band and album? Are there any you would like to recommend for this feature? Leave it all in the comments!